First, the Blade reported that BG has added a JUCO RB. His name is Josh Cleveland and he is transferring from Navarro College. He is 5'9" and 185 lbs, and very productive last season, with 1,065 yards, 6.2 ypc and 12 touchdowns. Last January, it was announced he was going to SE Louisiana, which apparently did not pan out, because he returned to Navarro. Anyway, welcome to the Falcons, Josh. Second, Seth Doege has been promoted to WR coach to replace Andrew Sowder. He originally was slated to be a graduate assistant and has not been a coach anywhere else. He was a star QB at Texas Tech (where else?) and played one year in the NFL and one in the CFL. His brother is a verbal commit to BG. Third, BG's list of coaches now lists Marcus White as d-line coach only, not co-defensive coordinator. Perry Eliano is the DC. Always good advice, but in this case Kingsbury was telling Jinks to keep what BG does well in the offense and not "force feed" the Air Raid System. As readers know, Coaches who throw away functioning systems to match their system are one of my pet peeves, so this was actually good news. If you are a good football coach, you should be able to coach more than one way, and you can transition to your offense over time, should you be here that long. Also, Jinks is going to call the offensive plays, which is interesting. He says that OC Andy Padron was "allowed to go sit with Baylor and learn that offense" and that would allow BG to maintain parts of that offense and parts of Air Raid and maybe "flip" in the middle of the game. 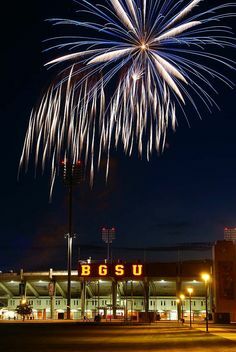 All right football fans...from the BGSU has released its media packet, which includes a pre-season two-deep....which you can find here. The first thing people will turn to...and it is hardly a surprise...is that James Knapke is listed as the starter for the Falcons at QB. There has been zero signal that anything else was going to happen and every pre-season magazine predicted he would start. He does have experience, and while he struggled most of the year when he did, he had a year of practice as back up in between now and then. Anyway, he's on the top line heading to Columbus. The RBs are Coppet and Donovan Wilson. The OL, of course, remains rock solid, Bennett, Steward, McAuliffe, Beggan and Dietz. Four seniors and a junior across the line. The WRs are Redding, Moore, Pough and Miller. The biggest surprise to me is that Darrion Landry is not anywhere on the 2-deep and more recent transfer Vanel Dossous is on the second line. Other backs up Tupa, Phouthavong, and Folkestma. Defensively, the line looks OK from the perspective of starters--Bush, Lunsford, Smith, and Konowalski, but D-line is all about depth and BG's second line has 18 tackles among them and the backup d-tackles have 0. Of course, LB is expected to be the defense's strength. Trent Greene will start on one side with Austin Valdez in the middle. On the right, Jack Walz III is listed as a co-starter with James Sanford. Backups are Aaron Banks or Dorian Hendrix (KY transfer), Locke in the middle and Harris on the right side. The D-backfield features Mack and Will Watson at CB and Ben Hale and Jamari Bozeman at S. Depth could be an issue here...backup corners are SO Robert Jackson and SO Marcus Milton, both of whom played last year, and at S they are Isiah Gourdine, who actually has played quite a bit, and Tavaraus Wade, a R-SO from Homestead, FL, who has not appeared in a Falcon uniform. I was surprised not to see Nilijah Ballew on the 2-deep. No idea if he is injured or not. FWIW, reported UM Graduate Transfer Da'Mario Jones is not on the roster. Based on the 2-deep, Nick Fields won the PK job. There's no mention of return specialists. The three-time defending MAC East Champs have been picked to do it again...and then picked to lose to WMU at Ford Field. That's all according to the MAC Media, who are (as they say) par-layin' in Detroit today. It's close...BG got 12 first place votes and 136 points and OU had 10 first place votes and 134 points, so right now that game in Athens would appear to be pretty big. Akron is picked 3rd, followed by Buffalo, Miami and Kent. One voter picked Bowling Green to win the MAC Championship game. In the West, WMU is the overwhelming favorite with 19 first places votes and 144 overall points. UT and NIU are closely matched at 2nd and 3rd, followed by CMU, Ball State and EMU. I'd say these are pretty good predictions. I think BG has more question marks than OU, but started ahead of OU and the QBs are actually probably pretty even between the two teams. As for the rest of MAC Media day, you can go to the BGSU website if you want to see more. (Or the MAC). They are usually pretty uninteresting and full of coachspeak. Everyone worked hard this summer, everyone likes their team, everyone is excited to get back at it....you get the idea. 2016 MAC Championship Game Winner: Western Michigan (19); Toledo (2); Northern Illinois (2); Central Michigan (1); Bowling Green (1); Akron (1). So, BG has a verbal commit from Montrey Gregory. (Assuming it is the same guy, sometimes it appears to be spelled Montre.) He's a JUCO D-back who plays for Monroe Community College in New Rochelle, NY. He's 6'1'" and 190 pounds. He's originally from Baltimore, where he graduated from Poly High School in 2014. From as far as I can see, he has only played one year in JUCO and will be a '17 recruit. Based on this, as a FR, he only played in 4 games and only was in on 7 tackles. There's not a lot of other stuff out there on him, unless you could find it. It's an odd signing--you usually don't see JUCO guys committing to early. Having said that, if it is odd, there has to be a reason, right? Welcome to the Falcons, Montrey. So, here's a quick check-in on Matt Johnson, courtesy of Pennlive. Upshot is that he was in Cincy two weeks and currently is unattached and not scheduled to go to a training camp. He's working out and they are considering the CFL. He considers his long-term career path to be as a Coach. Matt is an all-time great as a Falcon, whatever happens from here on in. Love to see him in the NFL or the CFL or coaching or whatever goals he has. He led the team to 2 conference titles and was the MAC player of the year. Much respect. Always a Falcon. Well, let's not lie, this is probably one of the bigger events of the summer....when Phil Steele comes out. For those of us who have, shall we say, an unbalanced relationship with our college football team, it is an exciting day. So, what does Phil have to say about the Falcons? He ranks us #83 on the power poll, which is how good your team is going to be, absent considerations about schedule. His overall rankings only go to 50, but he does not have BG in the top 50. (There are 127 FBS teams, for reference). There are a couple of common things he looks at. One of them is turnovers. It is a little counter-intuitive, but the idea is that a team that has a huge turnover margin one year (+11 or more) and historically 65% likely to have a worse record the next year. BG was +12. (The idea here is that turnovers are at some level a result of luck. You watch how a fumble drops or a tipped INT happens...there is luck involved. A couple notes on turnovers. Matt Johnson threw 569 passes with 8 INTs last year. He threw a pick on 1.4% of his passes. Not being negative, but we're unlikely to match that number again. (For comparison, Zach Terrell was picked on 2.3% of his passes. At that rate, Johnson would have thrown 13 picks and BG is only +7. Knapke was 2.5% during his year as a starter). Also, BG was 10-4 and could have a worse record and still enjoy a very successful season. Another big thing is experience. Overall, BG is the 8th most experienced team in the MAC. Inside that, there are some interesting numbers. BG #127 in returning yards on offense (that's last). Says BG "probably" will be the pre-season favorite to win the East. He has Akron and Ohio ranked as co-favorite in his rankings. Notes BG plays Akron and Ohio U on the road--which is going to make it difficult, though BG has been a strong road team historically. The positional ranks are interesting as well. Ranks Knapke #5-#9 QB in the MAC (#5 in a four-way tie). I think this is probably fair. The tie is with Toledo, Ball State and Akron) and the QBs ranked worse are Buffalo's new QB, JD Sprague at OU and the kid at Miami. He ranks BG #2 at WR. This is a shocker..I can't imagine where this came from. It is a tie with Toledo, so it is actually #2 or #3, with Akron in the top spot. Granted, it was before Rhodes was dismissed, but even so, I am not sure what observable phenomenon it was based on. Ranks DL #8. I will be doing a more extensive preview as things get closer but for now, I think this number is kind of generous, too, and this is the area that worries me most about BG. Ranks DB #4. Written with the assumption Clint Stephens would be in uniform. In other rankings, the Orlando Sentinel is more positive about BG, ranking the Falcons #53. Falcon great and NBA great, Hall of Famer, Nate Thurmond has died. 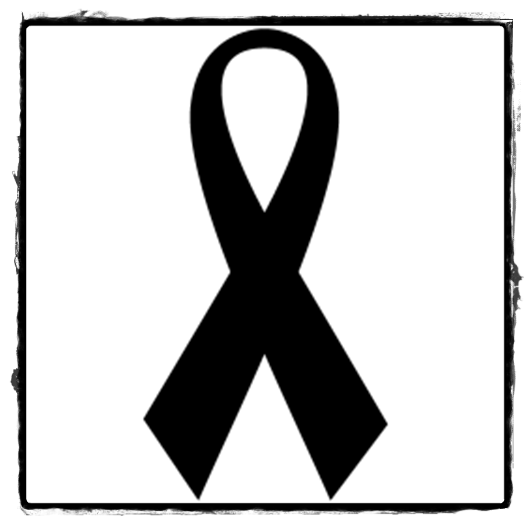 A day of mourning in the Falcon nation. I remember seeing, oh, my whole life. 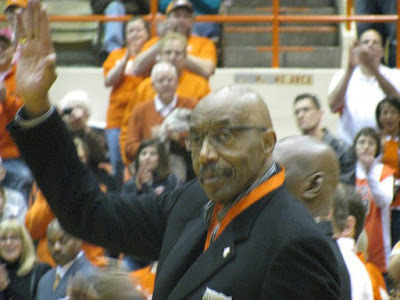 Bowling Green, Ohio - Nate Thurmond, one of Bowling Green State University's most accomplished athletes across any sport and one of the 50 greatest players in NBA history, has passed away at the age of 74. Thurmond arrived in Bowling Green in the fall of 1960 to play for legendary Falcons' coach Harold Anderson. In his freshman season, he made an immediate impact by scoring 17.8 points per game and adding a school-record 18.7 rebounds per game. 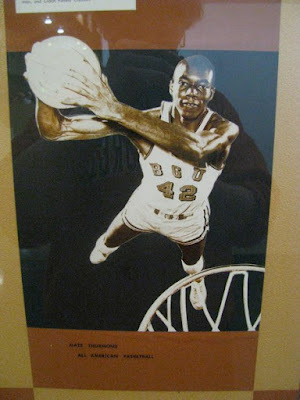 His total of 449 rebounds remains the second-most ever in one season at BGSU. During his final two seasons, Thurmond teamed with Howard Komives to produce the only back-to-back NCAA Tournament appearances in BGSU history in 1961-62 and 1962-63. 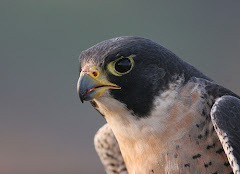 The Falcons compiled a 21-4 record and captured the MAC championship with an 11-1 mark during the 1961-62 season. Thurmond averaged 15.7 points per game and grabbed 394 rebounds, fourth-most in school history. The team was ranked in the top-ten nationally and as high as seventh overall during the final 16 weeks of the season. Bowling Green captured the MAC crown again in 1962-63 with a 19-8 record. On Feb. 16, 1963, the Falcons beat Loyola (Ill.) 92-75. The Ramblers were ranked second nationally at the time and won the NCAA Tournament in 1963. The Falcons also won their opening game of the NCAA Tournament, 77-72 over Notre Dame. Thurmond exploded for 536 points (19.9 per game) in that final season to give him 1,356 points and a career average of 17.8. He ranks 18th and eighth, respectively, on the BGSU career lists for those categories. He pulled down a school-record 452 rebounds, including a school-record 31 in his final collegiate game against Mississippi State. 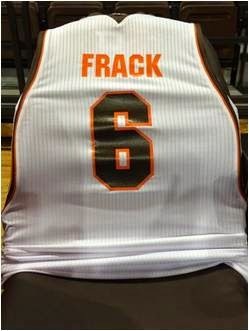 His total career rebounds (1,295) and career rebounding average (17.0) are also both BGSU records. Following that final season, Thurmond became the only consensus All-American in Bowling Green history and was named first-team All-American by the Sporting News. He was named first-team All-MAC and team MVP in each of his three seasons. His magical collegiate career earned Thurmond a spot in the BGSU Athletics Hall of Fame in 1975. Thurmond was drafted third overall by the NBA's San Francisco (now Golden State) Warriors in 1963. He played for the Warriors for 11 of his 14 professional seasons and helped the team earn playoff berths in seven of those 11 campaigns. He appeared in the NBA Finals in 1964 and 1967. In 1974, Thurmond was traded to the Chicago Bulls, who traded him to the Cleveland Cavaliers in 1975. Thurmond led the Bulls and Cavaliers to the playoffs in each of his three seasons with those teams before retiring in 1977. His Bulls faced the Warriors in the 1975 Western Conference finals, and Chicago lost to the eventual NBA champions, four games to three. Following his retirement, the Warriors and Cavaliers retired his #42, and he was inducted into the National Basketball Hall of Fame in 1985. One of Thurmond's greatest professional feats was becoming the first player to ever record an official quadruple-double. On Oct. 18, 1974, he compiled 22 points, 14 rebounds, 13 assists and 12 blocks against the Atlanta Hawks. It was his first game with Chicago, and the Bulls won 120-115 in overtime. Thurmond is one of four players to earn 40 rebounds in one game, one of five players to average 15.0 rebounds per game for his career, and one of five players to average 20.0 rebounds per game for a season. The only other three players to accomplish all three are Wilt Chamberlain, Bill Russell and Jerry Lucas. As a seven-time All-Star, Thurmond played in 964 career games and scored 14,437 points to go with his 14,464 rebounds, an average of 15.0 per game in both areas. Thurmond was selected as one of the NBA's 50 greatest players in 1996 when the league celebrated the 50th anniversary of its founding. Former Steele RB and Tx Tech recruit Bryson Denley is following Mike Jinks to Bowling Green, plans to be on campus in early August. So this is some interesting news. Bryson Denley played at Steele HS, which is where Mike Jinks coached, and had been recruited to to go Texas Tech where Jinks was coaching. They made the decision to grey shirt him, which means he did not enroll. Then, we see the post above from a Texas reporter, which is that he is headed to BG, where Jinks is now coaching. He was a three-star player on 24/7. He had offers from Baylor, Oregon State, Tulsa, and Kansas. He's listed as an all-purpose back and was the #20 in the country at that "position" according to 24/7. He played RB in HS but Texas Tech was expected to move him into the slot. He's 5'8" and 165, so probably small for a back in the Big 12, but where he ends up playing in the MAC is another question. As a senior, Denley had 100 carries and 813 yards with 14 TDs and 11 catches for 102 yards and 1 TD. What I don't know is eligibility. My guess with the grey shirting and all is that he will be eligible right away, but it does appear that he signed an NLI so that makes it confusing. If eligible, though, he's an enormous addition to a team that lost as many playmakers as this one did on offense. Happy Independence Day to the Falcon Nation!! Saw some news on Kamar Jorden and I decided to pop in and see what's going on with our former Falcons who are playing professional football. Moving to the NFL, Roger Lewis is still with the Giants and getting some ink, though most of it is about battling back from his legal issues after HS but before he came to BG. Matt Johnson was cut by Bengals, and is still on the loose. I heard he had a tryout somewhere, but as of today he's not signed for training camps. Alex Huettel and Eilar Hardy had try outs, no indication they have been signed. Shaun Suisham retired from the NFL after the Steelers released him following a failed physical. In his message, he said that the injury he suffered in the Hall of Fame Game last year was "catastrophic" and he is going to be forced to give it up. It is worth noting that Suisham had a big NFL career. If you search this blog you will find some old posts where I was pretty down on Suisham when he was a Falcon, but the young man could clearly kick. He is the most accurate kicker in Steelers history, To flesh that out, for his career he was 211 of 251, for 84%--#16 all-time. His long FG was 53. (He nailed a 50+ at Peden Stadium once, won't forget seeing that). He played 10 years in the NFL and kicked in the Super Bowl. Pretty good. Shows what I know. Chris Jones, Kory Lichtensteiger, Gabe Martin, Jude Adjei-Barimah remain on NFL rosters. This is something I had been hearing about for a while, but BG has named Kevin Noon as an assistant men's basketball coach, taking the position vacated when Louis Rowe got the head job at James Madison. Noon is in his second year at BG. He was the DBO last year. Obviously, Huger had the choice to go outside for someone with a sexier resume, but a couple things are worth considering. First, Noon is very well respected within the program and I hear that people believe he will be a good teacher of the game. Second, this program needs stability. So much change, so many coaches...if you have an internal guy who can do the job and it provides stability, I think you do it.